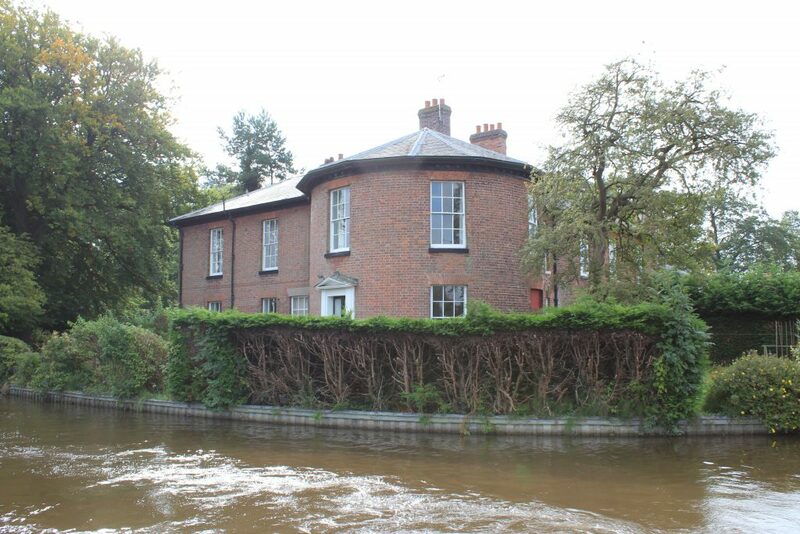 From The Jack Mytton Inn (Closed) to Willey Moor Lock Visitor Moorings, a distance of 21 miles, 1¾ flg and 8 locks. After a good nights sleep we got up and cast off and headed off down a, once again, deserted canal. I don’t think we saw another boat until we were past Frankton Junction but it was quite nice to be able to just chug along and watch the world go by. 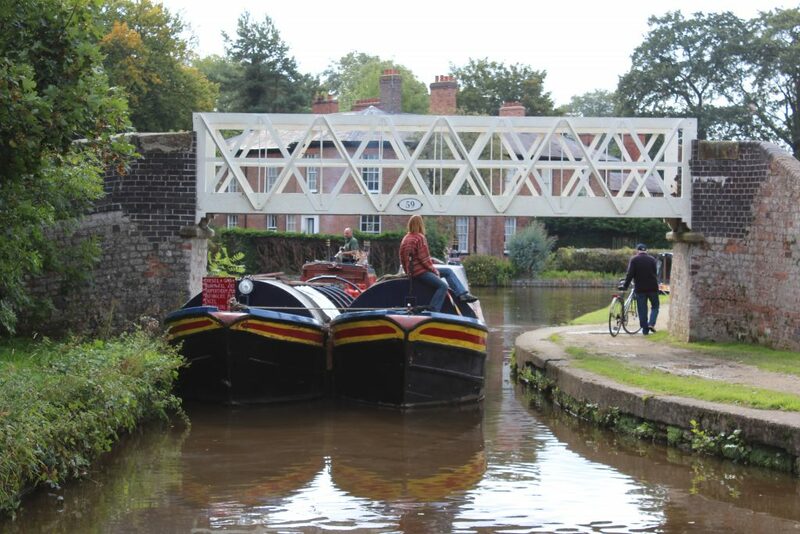 As we approached Ellesmere Visitor Moorings (West) it got a little busier and when we turned into the arm we were rather worried that we’d not be able to moor up as it looked pretty solid. 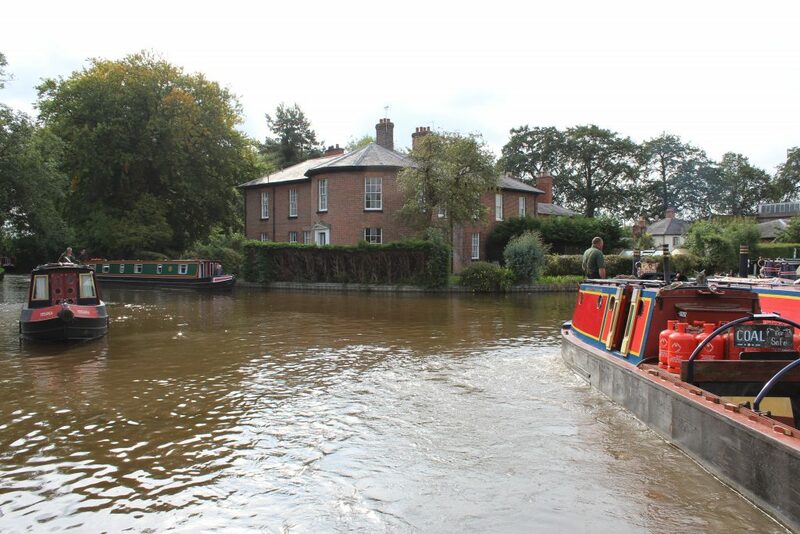 However we managed to slip in right at the end of the Ellesmere Arm Visitor Moorings. The basin is a little tired and it’s sad to see that the Ellesmere Warehouse is still derelict but there is a good supermarket right by the basin and the town itself seems to be doing OK. We needed some engine oil and whilst wandering round trying to find a garage I noticed several good looking pubs and places to eat – so its probably worth an evening visit some time. We turned outside the warehouse and headed back up the arm and had to wait whilst a breasted up pair of working boats backed up the arm, from where they had been moored, and out onto the canal. Working pair pulled over and let us out – a little bit of chaos with other boats. There were quite a few boats round the junction but we navigated our way through the minor chaos and headed off downstream – but once again we had a lot of the canal to ourselves. 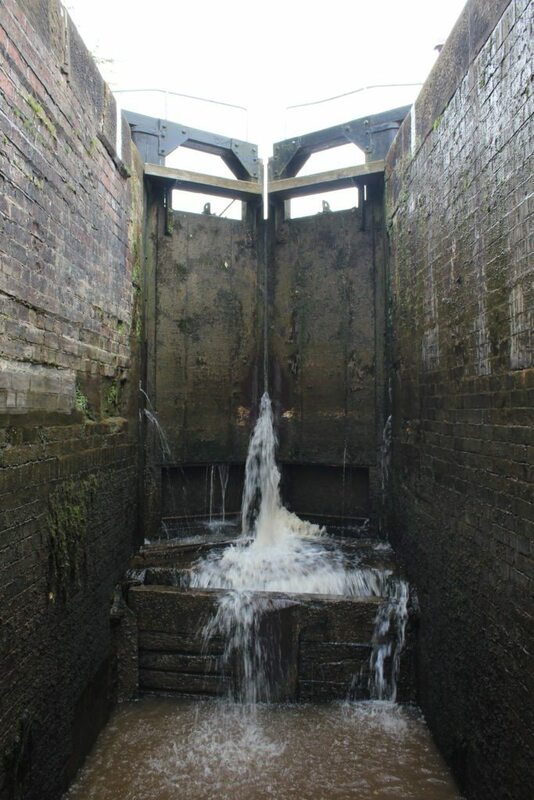 We had to wait for a short time above Grindley Brook Top Lock No 16 so we decided to do a pump out – but the pump out machine refused to read one card and when it read the other it turned on for about 3 seconds and then turned off again, so that was a complete waste of time and money. The toilet block also had a problem in that the lights didn’t work so you basically had to use the toilet in the pitch black… not fun. 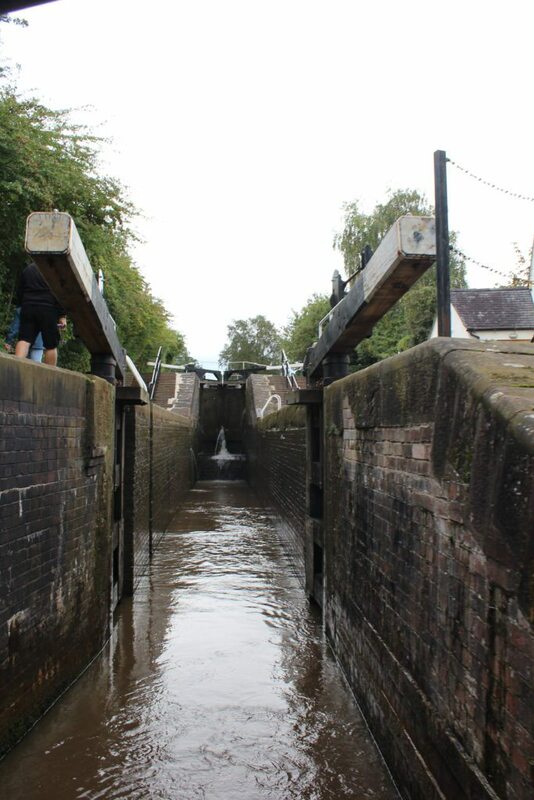 We moved down to the lock landing and were soon working our way through the staircase. 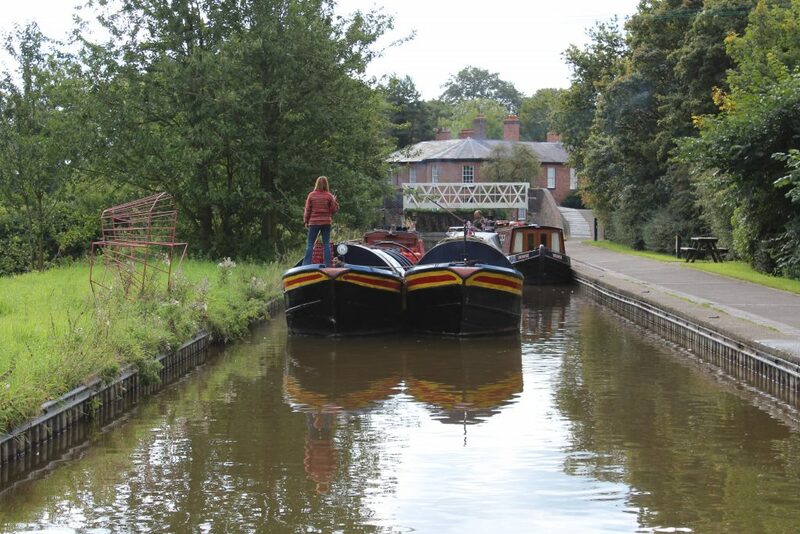 There were a few boats waiting below the staircase and a couple more working their way through the lower locks but the Grindley Brook Visitor Moorings (Below Locks) were pretty empty and the canal was quiet again as we made our way homewards. This entry was posted in 2017, September, Trips. Bookmark the permalink.